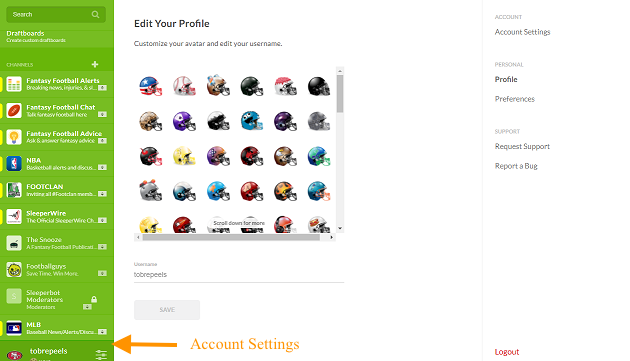 Your Sleeper account settings can be edited on Sleeper web app or mobile app. You can change your username, password, and avatar by going into your account settings (next to your user name on web in the left panel). In addition, you can set preferences here like preview links / show links, and other settings that we add over time. We recommend that you link your email or phone number to your Sleeper account in case you lose or forget your login credentials. Otherwise, we will not have a way to help you recover your account.